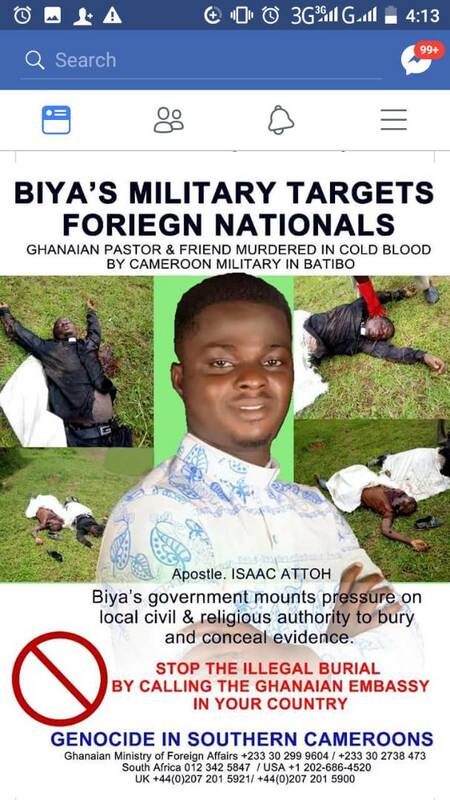 The Ghanaian missionary to Cameroon, Apostle Isaac Attoh, killed in Batibo last Saturday by the Cameroun Soldiers has been buried. The burial took place in Batibo on Tuesday July 17, 2018. His remains were laid to rest by the Mayor of the Batibo council in the presence of some church ministers who volunteered to see one of theirs laid to rest. Council officials said, the state of the corpses only needed burial. The Pastor was buried same alongside one of his slain Christians. The reaction of the family members who were making arrangements for the corpse to be repatriated remains unknown at the time of filing in this report. Sources also said the local council was under pressure for the corpse to be buried same day. Media reports had insinuated that Pastor Attoh’s family are due to drag the French Cameroon government to court, for killing the Ghanaian missionary who left behind a two months old baby, a wife and family to mourn him. Late Apostle Isaac Attoh of DESTINY IMPACT MINISTRY left Ghana for Cameroon for an evangelical mission but was unfortunate to have gotten into Batibo when the French Cameroun soldiers were carrying out raids across the town in search of the Pro Independence Self Defense Forces. According to eye witnesses, the military opened fire indiscriminately. This may have been the situation which led to the brutal shooting of the Ghanaian cleric and his companions whose bodies were only discovered early next day on Sunday July 15. The killing of the Ghanaian national has raised questions as to whether the French Cameroon government was now involved in the targeted killing of foreign nationals. 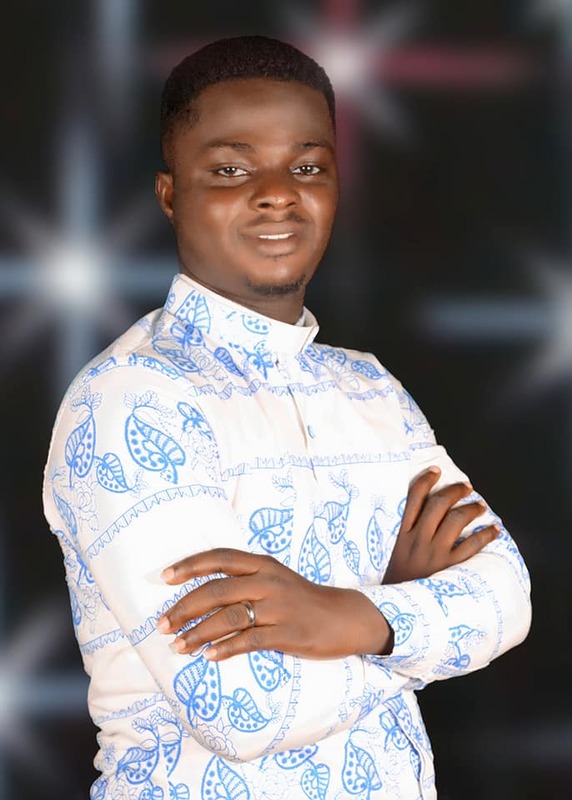 However, the family of the deceased wants the government of Ghana and the international community to get involved to seek justice for Apostle Attoh.